Is Your Commercial Organics Rate Structure a Success or a Failure? The presentation will present examples of commercial organics programs implemented in California. These programs are a response to the State’s mandatory commercial organics law which became effective in 2016. Covered in the presentation will be collection methods, processing methods, rate structures, participation levels and effective public education and outreach to meet the requirements of AB 1826. Many jurisdictions are still evaluating the different types of commercial organics programs that could be implemented, including various collection and processing methods with final destinations such as composting or anaerobic digestion. The presentation will explore some of the current paths that organic waste is following and potential future opportunities. 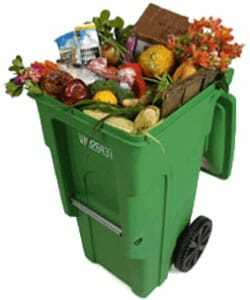 We will describe into the different types of rate structures used, such as stand-alone commercial organics rates that are much higher than trash rates, reduced organics rates that are offset by higher trash rates, or “free” programs with no extra charges for an organics container. We have analyzed how rate structures impact customer participation in the commercial organics programs. The final piece to a successful organics program is public education and reporting it to your CalRecycle representative. Simply notifying businesses and multi-family complexes of the legislation is not enough to be in compliance. We will describe some of CalRecycle’s required outreach with ways to be in compliance with the reporting and outreach portion of AB 1826.